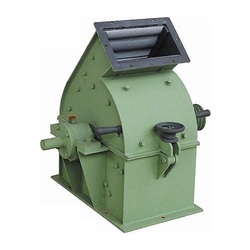 “Transmax” spice grinding mill is specially designed for fine grinding of various spices. A perfect design of pneumatic conveying system ensures a dust free and cool operation which is very important for spice, thereby retaining vital properties like color, taste, aroma, flavor, oil content etc. This machine can handle various spices like chilies, turmeric, ginger, black paper etc. Maintain uniform quality of the product. This machine is used for very soft material like sugar, salts, chemicals, dyestuff etc for medium fine to fine grinding. The material is centrally fed into the machine chamber. The grinding takes places between a high-speed rotor consisting of a large number of pins and a stationary stator. The discharge takes place from the perforated screen throughout the periphery. Chopper has been specially for granulating & cutting various materials like foodstuffs, agro,ayurvedic herbs,etc.Into small pieces of required size with minimum of powder content.there is no heat generated while grinding thereby retaining important properties like aroma, taste, flavour& colour. Some typical applications are for making crushed chillies for pizza toppings,chopped/minced/granulated onions,teacut senna leaves, granulating of food colours,gum,asafoetida,crushing of various ayurvedic herbs etc. 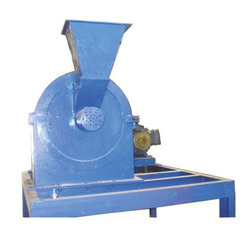 The most versatile machine that is used to grind almost all types of material like spices, foodstuff, chemicals, ayurvedic herbals, minerals and other miscellaneous materials. 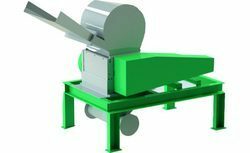 The grinding takes place between the high-speed swinging hammers and top /sideliners once the particle size reduces to that of the perforated/bar type screen at the bottom, it will be discharged through the hopper. The fineness of the material can be controlled by changing the speed of the rotor( hammer), a content of serrations on liners, numbers of hammers and diameter of perforations on the screen.